Eversley Forte personally developed the Cardio Athletic Kickbox® workout and presents an energetic and motivating coaching approach to group exercise. He is the President of Behind the Scenes Fitness, trains group exercise instructors internationally, a consultant to group fitness program directors, and is the Executive Producer and Director of the Cardio Athletic Kickbox Video series. He has been a martial artist, actor and stunt performer on commercials and films for over 10 years and teaches Step, Multi-Step, Group Cycling and Cardio Athletic Kickbox classes. Eversley has a Bachelor of Science Degree and is certified by ACSM, ACE, and AFAA. Donna Fisher has been teaching and training individuals in the health and fitness field since 1990. She is certified for Pilates mat and equipment instruction through the Physicalmind Institute, Michael Miller Pilates and Exercise Science Alliance, for group fitness through AFAA and for personal training through ACE. She is also licensed to provide occupational therapy services in the State of Texas. Donna has a BS in Exercise Physiology from the University of Florida and is certified in Biomechanics by the Cooper Aerobics Center, where she is the Mind-Body Fitness Coordinator. She facilitates Pilates mat certifications for Exercise Science Alliance, and has written and developed various Pilates training materials. Jeanne Sherrit can be described as: enthusiastic, educator, motivator, entertainer, choreographer, knowledgeable, experienced. A 21 year career in the health and fitness field began when a friend talked Jeanne into auditioning for a teaching position. Exercise then became a regular part of her life. Training and experience allow Jeanne to adapt to different situations with ease. She is an ACE Certified group fitness instructor. Her teaching skills include Step, Spin, Body Pump, Stability Ball, Exercise Tubing, Aqua Fitness, Strength Training, Pilates-based exercise, and many more. Jeanne is also an ACE Certified personal trainer, specializing in seniors and special populations. Trained in post-rehab protocol, Jeanne enables her clients to reach personal goals and new levels of wellness. Kit van Blerk, CEO of Ecofit, a Group Fitness Certification Organization with divisions in Germany and South Africa, has teamed up with Behind the Scenes Fitness to promote Cardio Athletic Kickbox in Europe. Kit is from South Africa and has presented Step and Cardio Athletic Kickboxing instructor workshops and master classes in Germany, United Kingdom, and South Africa. Kit is a martial artist and also teaches Hi-lo Aerobics, Body Conditioning and Group Cycling. He has been a Personal Fitness Trainer and Group Fitness Leader since 1994. Kit believes that all exercise should be challenging and safe, but also be fun. Ecofit can be found at www.ecofitonline.com. Sharlene Franke has a Bachelor of Science Degree in Kinesiology and teaches Cardio Athletic Kickbox, Step, Body Conditioning, and Hi-lo Aerobics. Sharlene has been a coach, choreographer, and performer with groups such as Visual Rhythm Dance Company, Savage Jazz, City Slam and Dancesations, for corporate, political, and professional sporting events. She is a martial artist and is featured in the Cardio Athletic Kickbox Videos for her perfect form as well as her ability to provide low impact alternatives. Kimberly Manning teaches all types of fitness classes including Aerobics, Muscle Toning, Step Aerobics, Group Cycling, and of course, Cardio Athletic Kickboxing. She holds a Bachelor of Science degree and has been certified as a group fitness instructor and personal trainer through the American Council of Exercise since 1990. She received her kickboxing certification through Behind the Scenes Fitness. Her martial arts training together with her diverse experience in the health and fitness industry make her a valued asset to Behind the Scenes Fitness. Frank Navarro has been a martial artist for over 30 years, holds a 4th degree Black Belt in Kenpo Karate, is an AFAA certified instructor, a certified U.S.A. Boxing Coach and Muay Thai Kickboxing Instructor. Frank is the creator of the internationally recognized "Crush Kick®," a martial arts/cardio kickbox workout designed for all ages. As a FITOUR® presenter, he has trained instructors in 26 states and 70 cities throughout the United States. Frank will present his Crush Kick workout and also conduct trainings which include the usage of equipment such as focus pads and heavy bags. Susan Viar has been teaching fitness classes for more than a decade. 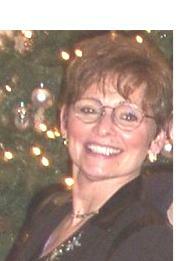 Susan teaches Step, Double Step, Kickboxing, Aqua, Resist-A-Ball, Hi/Lo, Sculpting, Boot Camp, and Mat Pilates. She has been a semi-professional and professional cheerleader and coach. She is the owner and Group Fitness Director of 3 Gold's Gyms. Susan is a Martial Artist and has multiple certifications including Mat Pilates instructor, Aqua, Certified Massage Therapist, and Kickboxing. 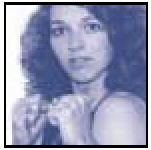 Marlaina Vance has studied and practiced Yoga since the 1970's in addition to her professional dance career. In 1992 Marlaina graduated from GSU with a degree in physical therapy and was also certified with ACE as a personal trainer that same year. During the last 10 years she has deepened her practice and expertise by getting additional certifications, licenses, and advanced trainings in Trager (a mind/body approach to therapy), Yoga, Older Adult Fitness, Pilates, Stability Ball, Science of Mind, and Massage & Esthetics. Her dedication to holistic health both personally and professionally makes her classes an education as well as a workout. She has been a favorite instructor at Rising Spirit Institute of Natural Health since 1996 and been a guest on television and radio in Atlanta, GA. Marlaina has studied a wide variety of styles of Hatha Yoga. Her classes attract people with a range of goals including: graceful aging, gaining body symmetry, improving posture, improving balance, stress reduction, increasing strength or flexibility, injury prevention for Fire Fighters, rehabilitation from physical injuries, surgery, or chronic problems such as arthritis, fibromyalgia, chronic fatigue, hypertension, diabetes, thyroid problems, and back pain. Renita Brannan has become one of the Midwests leading fitness educators. In addition to her BA emphasizing in Physical Education and Business, Renita is an ACE certified Personal Trainer, Group Fitness Instructor, and Lifestyle and Weight Management Consultant. She has been on various radio and television shows throughout North Dakota and is the weekly fitness expert on Y93 Radio and KFYR TV-NBC affiliate. Renita has started her own Personal Training program- BODY REWARDS which implements cardiovascualr exercise, nutrition, weight training, and flexibility exercises helping clients achieve their goals. Renita will present Mat Pilates, Stability Ball, and Kickbox Trainings for BTSF. Sherry Duffy is certified with both the American Council on Exercise (ACE), and the Aerobics and Fitness Association of America (AFAA), as a Group Fitness Instructor and Personal Fitness Trainer. She has been an instructor for over eight years and teaches stability ball, step, indoor group cycling, muscle conditioning (using Body Bars, free weights, resistance tubing), aquatics, plyometrics, medicine ball, BOSU, kickboxing, hi/lo, and basic Yoga/Pilates classes. Sherry works with a variety of special population clients and assists corporations in providing fitness programs for their employees. She also competes in various marathons and triathlons throughout the United States, and in local races to support charities and other organizations. Jennifer Crane has been a Group Fitness Instructor since 1990. Prior to teaching Group Fitness, she studied tap, ballet and jazz for 13 years and danced competitively for 8 years. She graduated with a Bachelor of Arts and Sciences degree from the University of Oklahoma in 1992. Her current certifications include STOTT Pilates (both Mat and Equipment), SPIN, ACE and AFAA. She is an Instructor Trainer for the YMCA of the USA and is also a Continuing Education Provider for both ACE and AFAA. She teaches Spinning, Step, Muscle Conditioning, Mat Pilates and Stability Ball/BOSU classes. Her experience in the Fitness Industry includes working as a Fitness Director, working as a Cardiac Rehabilitation Technician, working in Corporate Fitness and currently she owns her own Pilates and Personal Training Studio. Her philosophy about exercise is to make it count, but not to over-do it. Your muscles should definitely feel fatigued in order to achieve the results you want, but you shouldn’t feel like you’ve been beaten up after every workout. Helen Terry has presented in the UK, US, Japan, Mexico, Australia and New Zealand as an international Mind and Body Fitness Specialist. She is a certified Black Belt Nia Teacher and Nia Trainer, bringing 20 years experience in teaching to her students. Helen is the founder of NiaMoves Houston, a mind body spirit institute that offers classes, workshop and trainings in techniques like Nia, Yoga, Pilates, Tai Chi and more.. Helen also offers holistic methods for stress management within businesses, hospitals, churches and schools. Helen was instrumental in bringing Nia to Houston’s Saint Luke's Episcopal Hospital (home of the Texas Heart Institute), where she adopted the Nia technique as the prescribed exercise for cardiac rehabilitation patients. Helen loves to connect with others and her enthusiasm for movement has an infectious effect on those who attend her classes, workshops and intensive trainings.